Our photographs and descriptions represent items as honestly and accurately as humanly possible. No gimmick photography, no fancy catalogues and no inflated prices to cover the costs of grand retail premises. 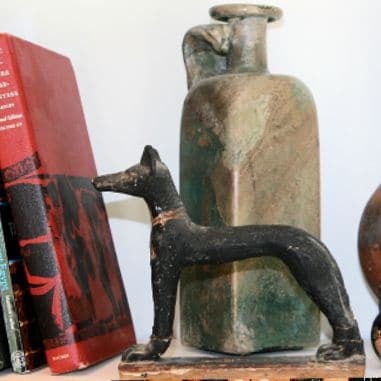 We view each sale as an ongoing relationship with a fellow antiquities enthusiast. Do you sell genuine or reproduction items? The items for sale are genuine ancient objects. Please see the collecting antiquities section for further advice. A detailed receipt is included with all orders guaranteeing the age, culture, description and provenance of each object. 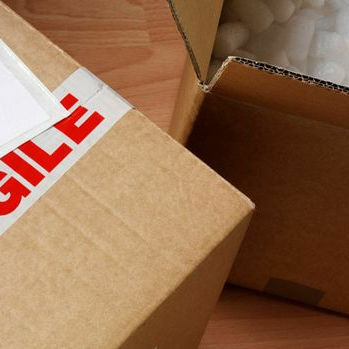 Yes, we use tracked delivery services which are fully insured for loss or damage. Please see the ordering section for further details. Are your items legal to sell? 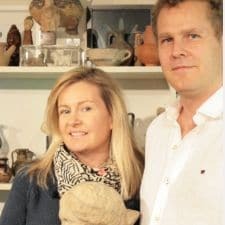 The ownership and trade in licit antiquities is legal in the UK and many other countries. If the UK export of a particular item in our inventory is restricted we will state this in the description and/or advise a client accordingly. We work with the police, cultural agencies and the government to fight illicit trading of any kind. Am I allowed to import these items into my country? Laws on cultural property vary from country to country. Some countries apply differing regulations on the private ownership of cultural property and therefore it is impossible to provide a comprehensive guide to all prospective clients. If in doubt, please ask for further details. Yes, we are always happy to consider the purchase of items which have been in old collections and/or can be demonstrated to have been acquired legally. We will happily work with owners to research old provenances in order to ascertain their legality prior to purchase. We will not buy items offered from source countries unless they are accompanied by a valid export permit. Offers of illegal, looted or smuggled items are reported to the police. Do you offer research, consultancy and valuation services? We operate a limited consultancy service for our long-term collectors. We can offer some advisory services on a one-off basis such as authentication or insurance valuations. Fees depend on complexity and will usually start from £100 plus VAT. Can you tell me if something I collect becomes available for sale? All items for sale are offered on our website. To see new additions please join our mailing list. Because we have over 1,000 registered clients it is impossible to offer specific items to each and every potential buyer. How can we trust your website? We have been trading since 1989 and have one of the best reputations in the business. We pride ourselves on our ethical and transparent trading policies which far exceed most of our competitors. But don't take our word for it! It makes really good sense to not only search the internet for independent advice but also ask museums, universities, other dealers and trade associations for opinions. Read our advice on buyng, how to spot fakes and tips.